"DBN International,Nigerian Television Authority,Silverbird TV,Channels Television,AIT,MITV,TV Continental,Galaxy Television,LTV,HiTV,Superscreen,OnTV Nigeria,DSTV,GoTV,Wap TV"
Convert Your published hard copy book to an audio here. Host a website at a very affordable price here. Blast online, the arrival of your new goods. Broadcast your up coming seminar to 10 million people. Announce your comedy event nationwide. 1. Bulk sms at N1.20 kobo per sms unit. 2. we share your post on facebook at N10,000 per one million reach. 3. 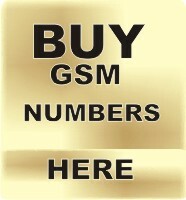 Get GSM numbers of any local government in Nigeria to promote your business or party campaign. 4. Adverise on any Newspaper, Radio, Magazine, Television on both Traditional media and online. 5. Get more views on youtube, more likes on facebook, more followers on twitter, instagram, etc. 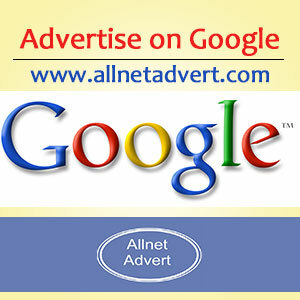 Advertise on google, yahoo, blogs etc. 6. we design fantastic websites for your business. 7. we have voice sms for political campaign. 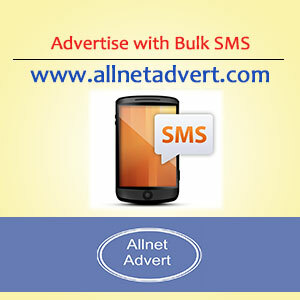 8. sms.allnetts.com for both local and international bulk sms. Welcome to allnetts.com, advertise on any advert media in Nigeria, we cover Satellite All advertising media stations and Networks accross Nigeria, specifically, we act as an agency to all media station we are directly linked with as a result of reaching terms and conditions of services, prices are displayed according to rate cards submitted directly from each television station to enable you advrtise on any advertising media according to your choice. we are simply advertisers, we advertise your goods/ products, we make an open air publicity, campaign via the following media; Radio and Television, Newspaper, Facebook, Yahoo, Google, Bulk SMS, GSM Network, Youtube, E-mail Marketing, web blogs. It is done based on you choice of advertising media. Allnet is the first Nigerian company to incorporate all aspects of communication into advertising at the same time i.e. we incorporate Television, Radio, Newspaper and online media to give the richest exposure in Nigeria with the widest reach countrywide. If you want to advertise your product on any television, radio, website, newspaper, magazine, billboard and digital online marketing kindly place your order on this website and forward your advert materials to us we will get it done. If you are a staff of any TV programme producers, Soap Opra, Radio station, Television station, Newspaper/magazine/journals publishers and your prices are not listed in this website follow this link to submit your price list now. If you are an advertiser and you are looking for a particular media ( TV programme producers, Soap Opral, Radio station, Television station, Newspaper/magazine/journals) and you can't find it here, kindly call them and inform them about allnetts.com. This is Allnet official advertising website, this is the website where all media broadcasters, publishers of newspapers and magazines, online advertiser, advertising agencies and business advertisers meet for advert rates worl wide. we are advertisers, we advertise your goods/ products, we make an open air publicity, campaign via the following media. Radio, Television, Newspaper, Facebook, Yahoo, Google, Bulk SMS, GSM Network, Youtube, E-mail Marketing, web blogs. It is done based on you choice of advertising media.